Lewis Hamilton inherited victory for the Bahrain Grand Prix after a late power unit problem took a first Formula 1 win away from Scuderia Ferrari‘s Charles Leclerc. Having started from pole position, Leclerc led for the majority of the 57-lap race before the 21-year-old reported a problem with his energy recovery system on lap 46. Leclerc’s lack of pace also ensured that championship leader Valtteri Bottas claimed second and helped Mercedes AMG Motorsport to a second successive 1-2 of the 2019 season. With the race ending under a Safety Car for a double-Renault F1 Team retirement with three laps to go, Leclerc managed to hold off Red Bull Racing‘s Max Verstappen to take a maiden F1 podium – and gained the extra point available for the fastest lap of the race. Leclerc lost his advantage to Ferrari team-mate Sebastian Vettel from the start, while Bottas slipped past Hamilton and went on to attack and pass the struggling Leclerc for second place. However, a lock-up for Bottas allowed both Leclerc and Hamilton to move back past the Finn and put the Mercedes into the clutches of the lively Verstappen and Carlos Sainz Jr.
Verstappen and Sainz Jr. collided at Turn 4 on lap four, the McLaren squeezing Verstappen on to the inside kerb, causing the latter to bounce into the front wing of the McLaren. Sainz Jr. was forced into the pits for repairs and dropped to the back of the field before ending his evening in the pits in the late stages of the race. A potentially related slow puncture for the Dutchman on lap 12 triggered a wave of pitstops for the frontrunners – Red Bull, Ferrari and Bottas all opted for medium tyres, while Hamilton put on another set of the soft compound. Vettel was the last to blink on lap 15, rejoining behind Leclerc and Hamilton as Daniel Ricciardo used a long first stint to lead a race for the first time in his Renault career. Hamilton had been struggling with his rear tyres for the majority of his second stint, allowing Vettel to close in on the rear of the Mercedes and pass him with the help of DRS at Turn 4 on lap 23. By the time of the second stops with just over 20 laps of the race remaining, Hamilton and Vettel both pitted for medium tyres with the Ferrari remaining just ahead of the Mercedes. Hamilton used Mercedes’ increased performance on the medium tyres to close in on Vettel and try a move on the outside of Turn 4, but Vettel narrowly avoided contact and kept the final spot on the podium. One lap later, Hamilton tried another move at the same spot and of the same nature, the pair running wheel-to-wheel before Vettel spun his Ferrari on exit under acceleration and released the Brit. Moments later, Vettel’s woes were compounded by vibrations from heavily flat-spotted tyres dislodging the front wing and forcing it underneath and out of the rear of the car, very close to the McLaren of Lando Norris. His pit stop for repairs dropped the German to ninth, behind both Red Bulls and Renaults – but provided the platform for a strong fightback drive to fifth in the space of four laps. With a 10 second gap to Hamilton and 12 laps remaining, Leclerc looked safe in the lead before he reported “something strange” from the power unit. Ferrari retorted by informing the agitated 21-year-old that the MGU-H had failed, leaving him with minimal energy recovery capability. 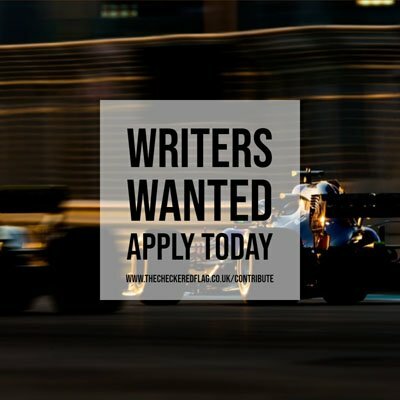 Hamilton closed in to breeze past the limping Ferrari two laps later before Turn 14, while Bottas started to scythe down the gap to Leclerc by an average of seven seconds a lap. On lap 54 Bottas followed his team-mate’s example, but a podium for Leclerc was saved by a late Safety Car caused by a double technical retirement for Renault. In the space of 200 metres at Turn 1, both Ricciardo and Nico Hülkenberg peeled off the track from seventh and sixth respectively. Ricciardo reported a complete electrical shutdown, while the German’s engine failed spectacularly at the end of the straight. The situation meant that Leclerc was exempt from a last-ditch attack by Verstappen and denied Red Bull a second podium in as many races to start its partnership with new power unit suppliers Honda. Despite Sainz Jr’s misfortune, Norris recorded another points finish and a new career best finish of sixth in just his second F1 race to move McLaren into the top five of the Constructors’ Championship. Kimi Räikkönen improved on his starting place of eighth to finish seventh for Alfa Romeo Racing after enjoying a tight battle with the Renault pair through the race. Pierre Gasly managed his first points for Red Bull in eighth after a difficult Australian Grand Prix two weeks’ ago, ahead of Scuderia Toro Rosso rookie Alexander Albon – who achieved his first F1 score – and the Racing Point F1 Team‘s Sergio Pérez.